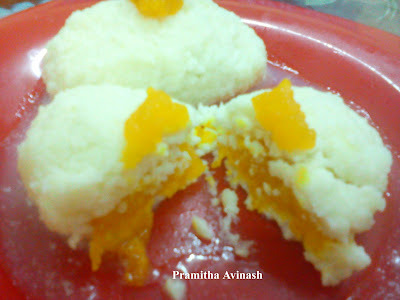 Sandesh is one of the most popular dessert in bengal.It is paneer fudge.Many dessert can be made with paneer.Among one of them is apple sandesh.A soft smooth sweet dessert which can be made for all festival celebration. 1.Take a non stick pan,put the grated apples,lemon juice,condensed milk,sugar,soaked saffron strands and cook on medium heat till the mixture becomes soft and dry.When it is done, switch off the flame and allow it to cool. 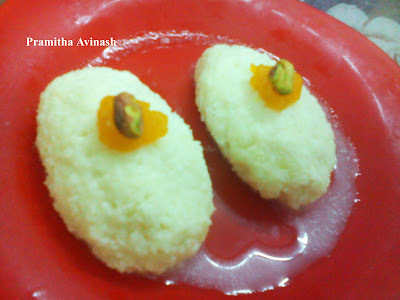 2.For the sandesh.take paneer in a bowl and mash thoroughly,then add the balance ingredients and mix well. 3.From this sandesh mixture,you can easily make 3 balls.Take each ball in the hand and flatten it. In the centre of the flattened ball add a spoonful of apple mixture and cover it carefully. 4.Top with apple mixture and pistachio. 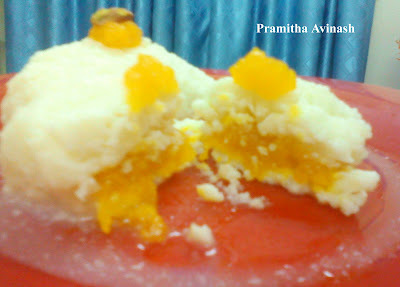 Chill it for half an hour and serve it.Really a delicious sweet. Have the left over apple mixture with ice-cream...yummy!!! 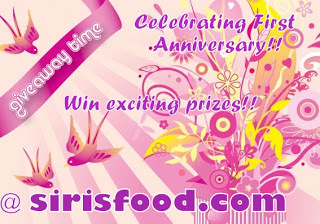 Linking to : "60 Days To Christmas"
this is entirely new to me..
thanks for linking to my event.. 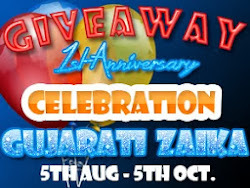 Celebrating My 1st blog Anniversary with Giveaway!!! !